Hi there! 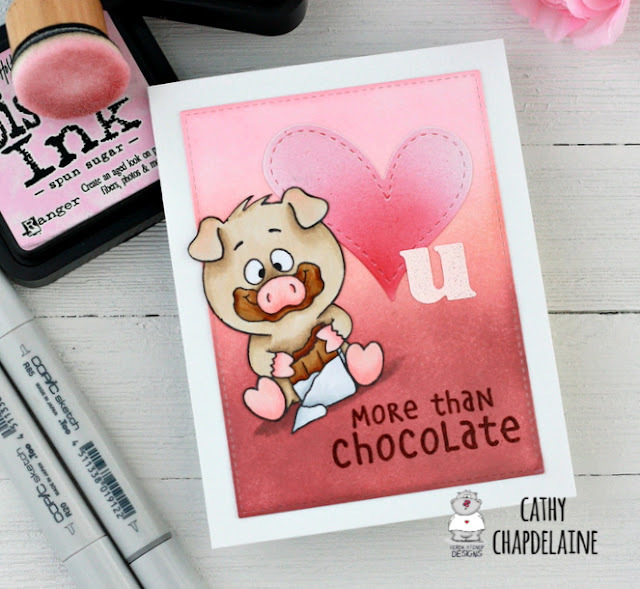 It's Cathy here sharing a super simple card today with this cute little pig from the More Than Chocolate stamp set. With Valentine's Day just a few days away, there's still time to make a quick and easy card or two! To start, cut a panel for the card front from white cardstock and ink it up using your ink of choice. For this one, I used Distress Inks in Victorian Velvet, Tattered Rose and Spun Sugar. Stamp the sentiment from this set at the bottom. 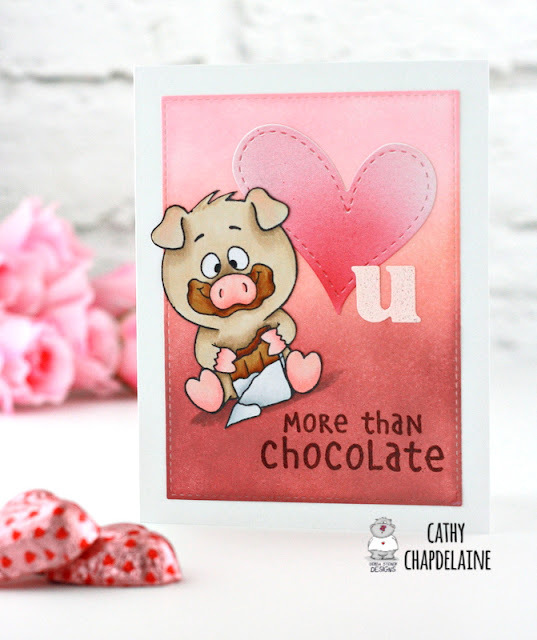 I stamped mine in Versamark and heat embossed with a dark brown embossing powder. 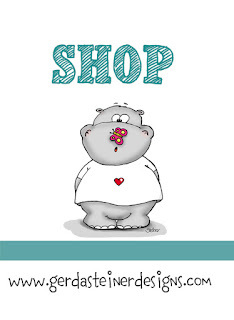 Die-cut a heart from white cardstock and ink it using your choice of medium. For mine, I airbrushed it with Copics (R85, R83, R81). Die-cut the letter u from light pink cardstock or stamp the letter u and fussy cut around it. Consider using a Thicker if you have some of those. Color this adorable piggy with Copics and fussy cut around him. After adhering him, add a few shadows underneath with neutral gray Copics. Super easy! Hope you enjoyed and see you again soon!